Enter your email address & get PDF! Check your inbox or spam folder to confirm your subscription & get access to your PDF project report builder. we will email you instantly with your access link to download your PDF project report. Want to find out how you can make your very own custom report? using the button above & we'll tell more. Min. Floor Space 23,540.68 Sq.Ft. Cost Of Construction 180 Rs. Per Sq. Ft. Typical Price Per Egg 4 Rs. Cost Of Feed Per KG 20 Rs. Price Per Spent Hen 30 Rs. Manure Produced Per Bird/Per Day (lbs.) 0.07 lbs. 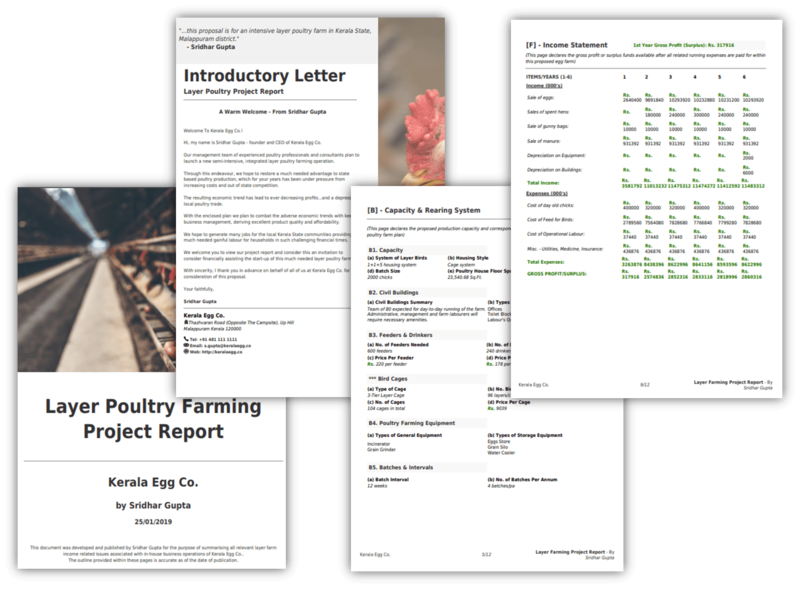 Want to learn more about poultry farming project reports?